Free printable ESL chart for students in mixed case format. 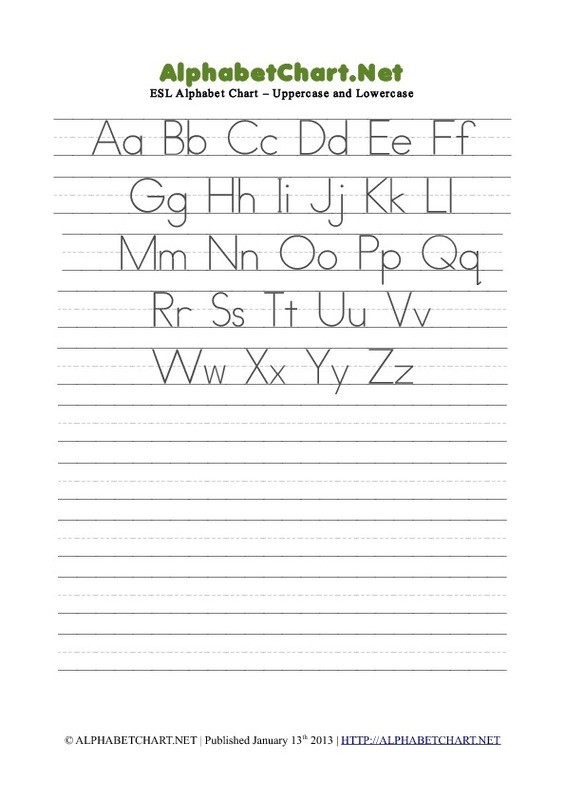 A to Z letters with a lined background in mixed case, including blank area for tracing. 26 letters of the English alphabet from A to Z. Mixed case uppercase and lowercase letters. This chart contains no pictures. Step 1: Download the chart printable template. Step 2: Save the chart pdf file to your computer. Open file and print. Step 3: Alternatively you may choose to print the chart from your browser window if your browser supports pdf online viewing.